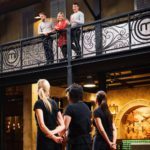 It is the top 5 surprise Masterchef Elimination. Ben, Tamara, Karlie, Diana and Arum are cooking tonight to stay in the competition, who will be eliminated? The contestants have no restrictions on what they can cook, they are fighting for their place in the top 4. 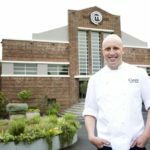 They will be cooking for some of Australia’s very best chefs including Alla Wolf Tasker, Shannon Bennet, Peter Gilmore and Ross Lusted. It is a service challenge. The contestants have 2 hours to create 7 identical plates of food. 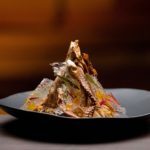 It will be a staggered start with Diana, Arum and Karlie doing savoury dishes and starting in that order, with Ben and Tamara following with dessert dishes. The contestants are playing to their strengths. 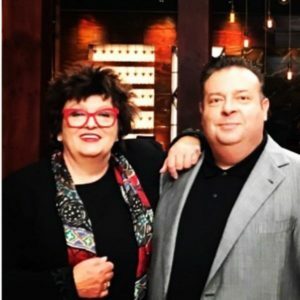 Who will be eliminated from Masterchef tonight? Diana starts, she is making a seafood dish. Next is Arum, he is cooking a duck, fennel and rhubarb dish. Karlee is next and is cooking a pork loin dish. Ben is making a labne ice cream as his dessert dish. Finally it’s Tamara’s turn to enter the kitchen. She is making a dessert with chocolate, orange and fennel. Arum is feeling the pressure tonight and his time is running out quickly. The judges walk up to Ben’s bench and question his use of lavender in his ice cream dish tonight, George says it could be like eating soap. Ben decides to make a honeycomb to add to his dish. Diana is cooking her squid on the habachi grill. Gary tells her she has 5 minutes until service time. She begins plating her dish up. She is happy with how it looks and sends it out to the judges. George says it looks spectacular. They taste her dish, charred squid with peas mint and cucumber. Peter comments it’s a really fresh dish. Matt says it’s a lovely intelligent salad, a clever sophisticated dish. Ella says she is quite surprised at how good this dish is. Shannon says he’s impressed. The next dish that goes out to the judges is Arum’s duck dish. He is concerned that he has overcooked his duck. Arum has made roast duck breast with fennel. The judges taste his dish. Gary says the fennel is absolutely yum. Matt says the duck is rubbery. Peter identifies that the duck has been cooked too early and rested for too long. Karlee is finalising her dish of pork loin. She fries it in a pan being careful to not overcook it. Karlee starts plating up her dish then when finished sends it out to the judges. She has made pork loin with mushrooms and blueberries. They taste the dish. Peter says it’s not bad for a loin, he thinks using the blueberries is quite clever. The judges agree that the sauce is good. It’s Ben’s turn to plate up his dish, he gets it done just in time and sends it out to the judges. Ben has made lavender ice cream with lavender shortbread with honeycomb. The judges taste his dish. Shannon was worried that the lavender would be too overpowering but he really likes the ice cream. Gary says it’s a shame the shortbread was undercooked and doughy. Finally it’s Tamara’s turn to plate up her dish, the final dish for the evening. She puts the mirror glaze over her chocolate mousse domes and as she is plating up she drops one on her bench. She has to re-do the glaze on the dome and it looks ok. She finishes plating up her dish and sends it out to the judges. They comment that the dish looks amazing. The judges love the dish. Ella says the texture is just sublime. George says it’s such a clever dish. It’s time to find out who will be eliminated tonight. The two people that are safe tonight are Diana and Tamara as they cooked the best dishes. So it’s between Arum and Ben. Karlee is also safe tonight. Arum has been eliminated from Masterchef tonight.